If you’ve been reading my blog for awhile, you already know that green is one of my fav colors. A few weeks ago, Ulta had an amazeballs sale on their nailpolish, so I picked up a few new colors to try since they were only $2. One of which was a super cute mint green color. 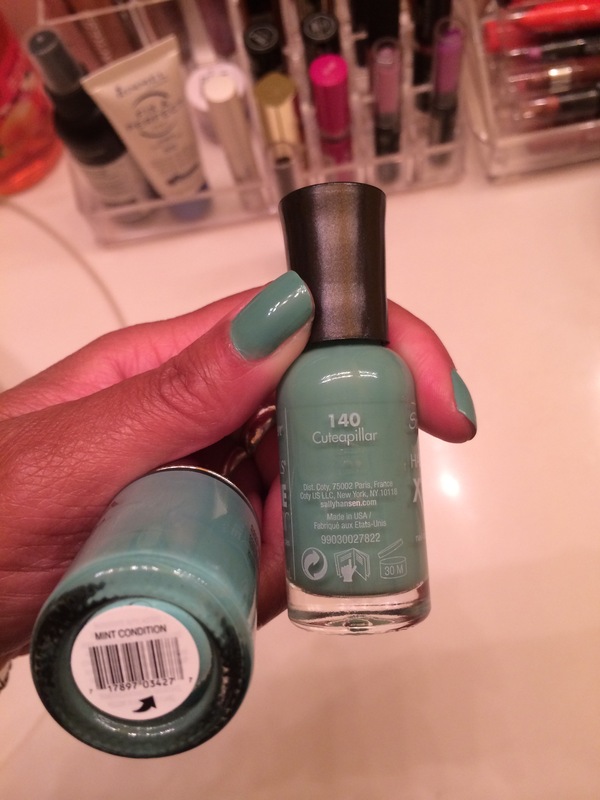 A few days ago, I got an email coupon from CVS for $2 off Sally Hansen and being the person I am who can’t leave a good deal on the table, I bought another polish, in basically the same color of the mint green I had just bought at Ulta. Ugh, hate when that happens, but good thing I like green! And, I should probably stop shopping so much since I forget what I already have! 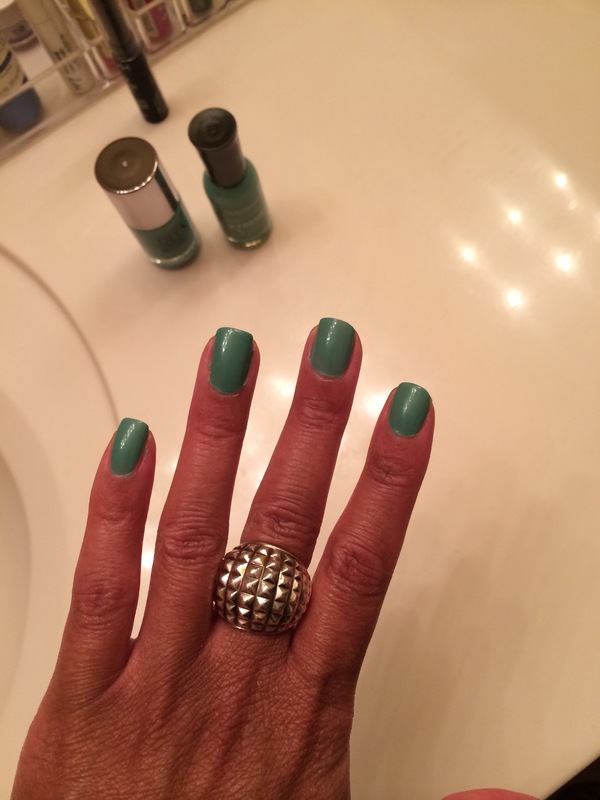 Today I’m wearing the Sally Hansen mint greenish color in cuteapillar. I like this color a lot and I just think it screams summer! Here are both colors, and don’t they pretty much look the same? Can’t wait to try the Ulta brand to see if it looks any different on. And here are the names of the colors if you decide to try them…and you should! Nails are a good way to get some color in your life!!! Love this nail color! Perfect for summer! Thank you! I love trying new colors especially in the summer!